A recent case underscores the changing trend of Korean whistleblowers — and the longstanding challenges they continue to face. 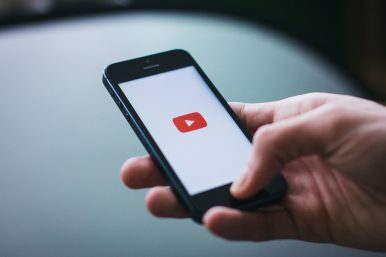 It is an undeniable fact that YouTube has become a daily obsession for many people worldwide. The platform is used by 1.8 billion logged-in users each month, and that figure is only growing. In South Korea, however, YouTube is emerging as more than an entertainment hub. The video platform is becoming a new channel for whistleblowers. In the, latest example, a former government official posted video clips purporting to expose wrongdoings of the South Korean government. Shin Jae-min, 32, who identified himself as a former deputy director of South Korea’s Ministry of Economy and Finance, alleged the Presidential Blue House tried to replace the CEO of Korea Tobacco & Ginseng or KT&G, although South Korea’s largest tobacco company is a private company. Shin’s claim was made in a YouTube video that ran for about 12 minutes and was uploaded onto his personal channel on December 29. His video attracted more than 300,000 views in just a few days and has been republished by mainstream media outlets. Becoming a whistleblower is a sensitive subject anywhere in the world, but the cultural aspect has made it more challenging in South Korea. Often mentioned factors for this additional pressure include the emphasis on the community or group, collectivism, and a top-down culture coupled with a ranking system at work. Therefore, in the past, it was common for whistleblowers to seek support from third parties with more influence such as religious circles, civic groups, or the media instead of acting alone. In addition, the identity of the whistleblowers would often be carefully hidden to shield them from the negative responses. From the 1987 pro-democracy movement through the early 1990s, most of the whistleblowing activities in South Korea focused on political power. A good example was Kim Joo-eon, a reporter at Hankook Ilbo, who in 1986 exposed the government’s press guidelines. Between the mid-1990s and mid-2000s, whistleblowing in South Korea expanded into a variety of fields including safety, environment, health, education, and the economy. In addition, as freedom of speech was promoted more strongly within the country, whistleblowers began communicating directly with the media rather than through religious organizations or civic groups. However, those who reported wrongdoing to the media were still reluctant to reveal their face or identity, and methods to shield their identities — such as mosaic distortions or voice modifications — were regularly used on TV screens. The mood began to change around 2010, when the use of new platforms including podcasts and Facebook increased. More whistleblowers in South Korea revealed themselves through these social media platforms. One example is Jang Jin-soo, the head of the office for public finance at the Prime Minister’s Office. He confessed in March 2012 that he had received 50 million won ($44,500) in cash from his boss in exchange for keeping silent regarding the government’s secret surveillance of civilians. His confession was made on a podcast program, and he did not hide his identity or rely on other groups to shield himself. And now South Korea has seen Shin’s case, where YouTube was used as the channel for public whistleblowing. Shin also made no attempt to hide his identity or depend on third party cover. The difference this time is the substantially higher impact in comparison to the channels used by whistleblowers previously. “Through social media, users can share their knowledge and information and make it matter to the society. This allows them to present critical alternatives sources of information to a much wider audience thus impacting the community,” Professor Kwon Seong-ho of Seoul-based Hanyang University noted in his recent paper. Kim Ah-mi, a researcher at Gyeonggi-do Institute of Education, shared a similar view. Kim hinted that social media outlets, including YouTube, can be as authoritative as mainstream media but potentially more powerful due to reaching a larger and often more sympathetic audience. “Users often refer to the mainstream media in setting up, editing, and speaking when making political content for YouTube. This allows YouTube creators to borrow the authority of the former by delivering the arguments in the form of news,” Kim said. Shin’s case has certainly highlighted the importance and potential of YouTube as a channel for future whistleblowers in the country. However, whether the country has sufficient safeguards to protect whistleblowers from being targeted remains an open question. The current Moon Jae-in administration announced in June last year a series of measures to help protect whistleblowers by stressing the importance of such people in making society better. But now the government has gone on to sue Shin for leaking classified information. The irony is self-evident. Is Moon Jae-in Becoming a Lame Duck? Most South Korean presidents have faltered in their third years. Moon risks falling into the same trap.